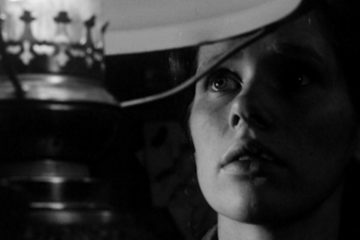 Ingmar Bergman does not strike quickly or subtly with the terminally unpleasant The Serpent’s Egg. Made in 1977, well after it’s previous set-mate The Passion of Anna, this film bears a detached resemblance to the other film’s themes MGM has paired it with, but its eye-opening differences keep it from really gelling with them. Foremost among these differences are its considerably larger budget. Produced by cinema mogul Dino de Laurentiis, Bergman was for the first time working with a big budget and a large crew. Also, rather than shooting in the undeniably real environment of the director’s beloved island of Fårö, this film shot in a massive studio in Munich which was built into a vast and impressive recreation of 1923 Berlin. Rather than the familiar face of Max von Sydow, we get the curious and unlikely choice of David Carradine as the perpetually troubled leading man. 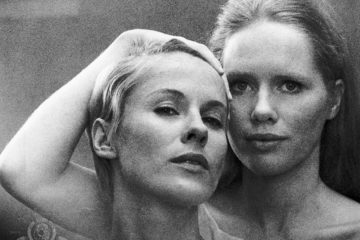 The cumulative result of these changes to the brilliantly successful Bergman formula of the past don’t bode well for the director’s ability to venture out of his comfort zone, as ironically uncomfortable as that particular zone may be. 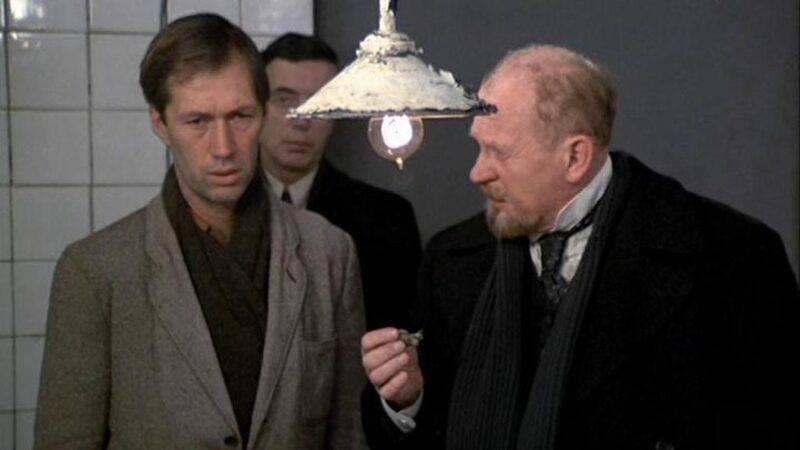 That is not to say that the appropriately dreary and miserable-feeling vast set of between-wars Berlin is anything less than impressive, or that Carradine does a bad job here. Yes, the actor has been labeled as having been horribly miscast in this film by more than one critic over the years, but I don’t think he’s nearly as lost as the naysayers would like to think. He plays Abel Rosenberg, an out of work Jewish circus performer who’s world continues to come crashing down when his trapeze partner brother is found dead (by his own hand) first thing in the film. 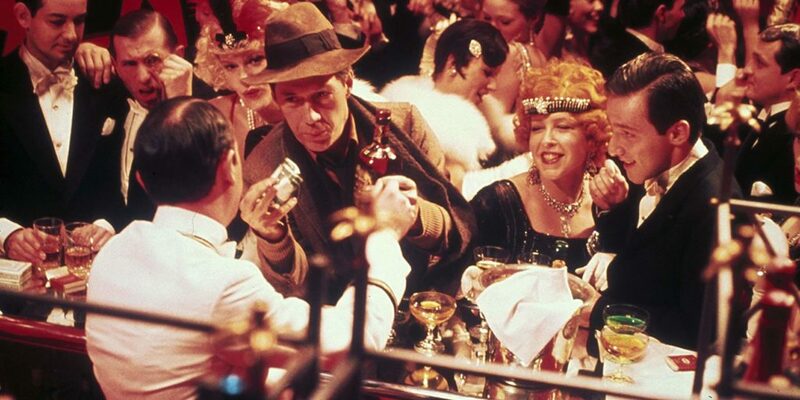 He soon ends up living with his brother’s widowed wife, Manuela (Liv Ullmann, terribly underused here), also a circus performer on the rocks who is dealing with her hard times by wearing a ridiculous green wig and gaudy costume in a smoky cabaret act. In the week’s time that this story unfolds, Abel and Manuela gravitate toward and away from each other numerous times until the joyless tale finally culminates with the kind of personal disintegration that we’ve come to expect from Bergman. 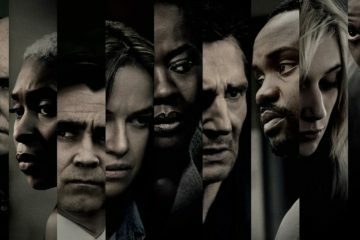 The plot, such as it is, really only exists to service the filmmaker’s own vision and messages regarding hopelessness, poverty, and impending war. Abel isn’t the only one plagued by the life he’s stuck in. 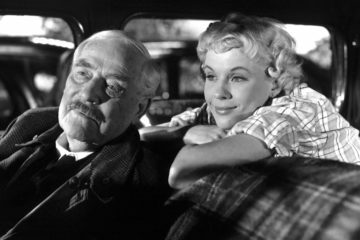 Manuela, desperate for consolation regarding her husband’s suicide, goes to see a callous and pre-occupied priest (played memorably by James Whitmore) who refuses to hear her until she practically bursts with the line “All this guilt is too much for me!” At this point, the priest comes to her, but informs her “God is too far away now. So far away, He probably doesn’t hear us anymore. So we must forgive one another.” She is convinced that he prayed some kind of “special prayer” for her, but we know that poor Manuela is blinded by her own agony. 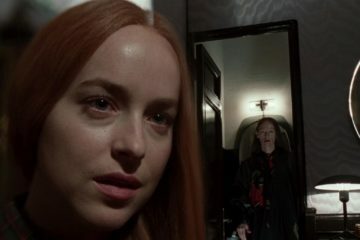 The film takes a few paranoid turns as Abel begins to mentally unravel while at the same time attempting to unravel what appears to be political mad scientist operation of some sort. Bergman actually manages to utilize Carradine’s action star chops in a few odd fight and chase scenes (! ), an interesting footnote on the film, to be sure, but in the end merely another example that the director has strayed too far from what he’s known for. Bergman historian Marc Gervais makes the point during one of the disc’s two featurettes that although The Serpent’s Egg is widely acknowledged as a failure at being a “Bergman film”, it works quite well when viewed as a German Expressionistic crime noir. I initially thought of it as a Bergmanized version of Bob Fosse’s Cabaret, but that’s not quite right. The director himself considers it a horror film, a description that fits on some level, but for the sake of clarity, Gervais is closer to the mark. This special edition DVD offers, in addition to the afore-mentioned featurettes, a very personable and informative commentary by David Carradine, as well as the trailer and a short photo gallery. 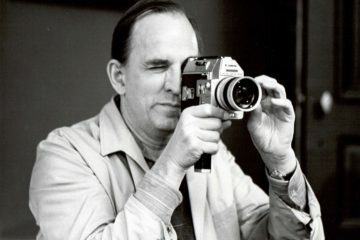 This content is very welcome, but cannot create a cohesive link to the other four films in this MGM Bergman series. I feel that this film may actually fit in a little better than most people seem to realize, but nevertheless, there’s no denying that this is the obvious weak link. 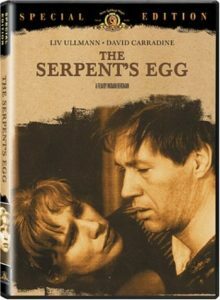 The Serpent’s Egg may not be Bergman’s finest effort, but it isn’t completely rotten either. It just doesn’t sit well once digested.